Received the 2016 Burton Award for Distinguished Legal Writing, which honors the finest law firm writers of the year. The Burton Award is the "Pulitzer Prize" of legal writing. Elected as a Fellow of the American Bar Foundation - less than 1% of attorneys may ever become Fellows. The Fellows is a global honorary society of attorneys, judges, law faculty, and legal scholars whose public and private careers have demonstrated outstanding dedication to the highest principles of the legal profession and to the welfare of their communities. 2017 Michigan Rising Stars by Super Lawyers. 2016 Michigan Rising Stars by Super Lawyers. 2015 Michigan Rising Stars by Super Lawyers. 2014 Michigan Rising Stars by Super Lawyers. 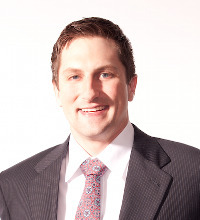 Up and Coming Lawyer in 2014 by Michigan Lawyers Weekly. Adrienne Dresevic, Esq. and Clinton Mikel, Esq. wrote "The National Practitioner Data Bank Guidebook Provides Clarity on Reportable Events" for the AHRA Link January 14, 2019 issue. Clinton Mikel, Esq., wrote a chapter in "Physician Law: Evolving Trends & Hot Topics 2018" called "Final HIPAA Omnibus Rule: What's Changed, and a Guide to Complying for Providers (Or, "Better Late Than Never")". Adrienne Dresevic, Esq., and Clinton Mikel, Esq., wrote "A Clarification on Medical Necessity Determinations" for the AHRA Link December 22, 2017 issue. Adrienne Dresevic, Esq., and Clinton Mikel, Esq., were quoted in "The Long Road to Compliance" by Julie Ritzer Ross at Radiologybusiness.com on November 20, 2017. "The Final 2018 MPFS: What Radiology Providers Need to Know," by Adrienne Dresevic, Esq., and Clinton Mikel, Esq., AHRA Link November 8, 2017. "Significant Changes to Anti-Kickback Statute Safe Harbors/Exceptions to the Civil Monetary Penalty Law," by Adrienne Dresevic, Esq., Clinton Mikel, Esq., and Robert Dindoffer, Esq. The Health Lawyer Volume 29, Number 6, August 2017. "What to do When Approached in a Government Investigation" by Adrienne Dresevic, Esq., and Clinton Mikel, Esq., AHRA Link July 24, 2017. "Need a lift? : CMS Approves Free Patient Transportation for Imaging Providers" by Adrienne Dresevic, Esq., and Clinton Mikel, Esq., RadiologyBusiness.com June 16, 2017. Clinton Mikel, Esq., wrote a chapter in, "Physician Law: Evolving Trends & Hot Topics 2017" called "Final HIPAA Omnibus Rule: What's Changed, and a Guide to Complying for Providers". "Important New Compliance Resources" by Adrienne Dresevic, Esq., and Clinton Mikel, Esq., AHRA Link April 21, 2017. Adrienne Dresevic, Esq., and Clinton Mikel, Esq., were quoted in "When it Comes to Stark Law, Good Intentions Don't Matter" by RBMA.org on January 19, 2017. "Imaging Provisions in 2017 OIG Work Plan" by Adrienne Dresevic, Esq., and Clinton Mikel, Esq., AHRA Link November 21, 2016. "The Big Impact of a Little Known Patient Privacy Right" by Adrienne Dresevic, Esq., and Clinton Mikel, Esq. AHRA Link October 18, 2016. Clinton Mikel, Esq., was quoted in "Protect Yourself from Medical Identity Theft" for October 2016 issue of Consumer Reports Magazine. Clinton Mikel, Esq., was quoted in "Cyber Ransom Attacks Panic Hospitals, Alarm Congress" for POLITICO.com on July 18, 2016 by Arthur Allen. Adrienne Dresevic, Esq., Carey Kalmowitz, Esq., and Clinton Mikel, Esq. were quoted in The Ambulatory M & A Advisor article, "Regulations for Healthcare in 2016 and Beyond" by Richard Romero on June 1, 2016. "Stark's New NPP Recruitment Exception - Dissection and Practice Tips," by Adrienne Dresevic, Esq., and Clinton Mikel Esq. AHLA Health Lawyer Volume 18 Issue 2 May, 2016. Clinton Mikel, Esq. wrote a chapter in "Physician Law: Evolving Trends & Hot Topics, 2016" called "Final HIPAA Omnibus Rule: What's Changed, and a Guide to Complying for Providers (Or, "Better Late than Never") for the 2016 Edition. Clinton Mikel, Esq. was mentioned in "Is Telehealth Ready for Its Day in Court" by Eric Wicklund on May 18, 2016. "Reporting and Returning Medicare Overpayment: Long Awaited Final Rule Provides Clarification"., by Jessica Gustafson, Esq. and Clinton Mikel, Esq. ABA Health eSource, Volume 12 No. 7. "Final CY 2016 Stark Law Changes-Welcomed Revisions to Stark", byAdrienne Dresevic, Esq., and Clinton Mikel, Esq., The Health Lawyer, Volume 28, Number 2, December 2015. Adrienne Dresevic, Esq., and Clinton Mikel, Esq., wrote "Final PFS CY 2016 Physician Self-Referral (Stark) Changes Redline" on November 16, 2015 for the American Bar Association Health Law Section. "Proposed Stark Law Changes - Welcomed Relaxation of Current Regulations" by Adrienne Dresevic, Esq., Clinton Mikel, Esq., and Aaron Beresh, Esq., ABAHealth eSource, October 2015 Volume 12 No. 2. "Proposed Stark Law Changes-Welcomed Relaxation of Current Regulations." quoted by Adrienne Dresevic Esq., Clinton Mikel, Esq., and Aaron Beresh Esq. in ABA Health eSource October 29, 2015. "Lab Company to Pay $256 Million Over Allegedly Tainted Claims" quoted by Clinton Mikel, Esq. in Business Insurance October 21, 2015. "Millennium Health to pay $256 million over allegedly tainted lab claims." quoted by Clinton Mikel, Esq. in Modern Healthcare October 19, 2015. "Memorial Hermann revisits policies after cops called on immigrant patient using fake ID." quoted by Clinton Mikel, Esq. in Modern Healthcare September 16, 2015. "Patient privacy law is often a handy excuse "quoted by Clinton Mikel, Esq., The New York Times, by Paula Span, September 8, 2015. "Is HIPAA Privacy Being Misused?" quoted by Clinton Mikel, Esq., in CantonRep.com on August 20, 2015. "Providers booted from state Medicaid Programs still drawing funds from other states" quoted by Clinton Mikel, Esq. in Modern Healthcare, August 5, 2015. "Is HIPAA hindering data sharing?" quoted by Clinton Mikel, Esq., in Government Health IT, July 22, 2015. "HIPAA's Use of Code of Silence Often Misinterprets the Law" by Julie Span, Interview by Clinton Mikel, Esq., New York Times, July 17, 2015. "Sensodyne & Tums Maker Slammed Over New Coupon Language" by Clinton Mikel, Esq., Couponsinthenews.com May 19, 2015. "The OIG's Practical Guidance for Health Care Governing Boards on Compliance Oversight" by Clinton Mikel, Esq. and Leslie Rojas, Esq., ABA Health eSource Vol.11 No. 10. Clinton Mikel, Esq., wrote a chapter in "Physician Law: Evolving Trends & Hot Topics 2014" called "Final HIPAA Omnibus Rule: What's Changed, and a Guide to Complying for Providers (Or, "Better Late Than Never")". "Significant Proposed Changes to the Anti-Kickback Statute and the Civil Monetary Penalties Law", by Adrienne Dresevic, Esq., Clinton Mikel, Esq., and Leslie Rojas, Esq., The Health Lawyer, Volume 27, Number 2, December 2014. "1.95M False Claims Act Settlement for Radiology Billing Company", by Adrienne Dresevic, Esq., Clinton Mikel, Esq., and Leslie Rojas, Esq., AHRA Link, November 2014. Clinton Mikel, Esq. was interviewed and quoted in the ABA Journal In-Depth Reporting titled "Federal Medical-Privacy Law Frustrates ID Theft Victims", September 1, 2014. Clinton Mikel, Esq. was interviewed and quoted in the St. Louis Post-Dispatch, "Why We Don't Know More About Shooting Victims", August 19, 2014. "How to Prepare for the Expected Increase in HIPAA Fines", by Adrienne Dresevic, Esq., Clinton Mikel, Esq., and Leslie Rojas, Esq., AHRA Link, July 2014. "Payment of Physician's EHR Transmission Fees May Violate AKS", by Adrienne Dresevic, Esq., Clinton Mikel, Esq., and Gerald Aben, Esq., AHRA Link, May 2014. Clinton Mikel, Esq. was interviewed and quoted in, "Meaningful Use", Part B News, vol. 28, issue 18, May 5, 2014. Clinton Mikel, Esq. was quoted in, "Meaningful Use Audits: Seven strategies to protect your practice", Medical Economics, March 10, 2014. "Physician Law: Evolving Trends and Hot Topics", by Clinton Mikel, Esq. "CMS Unveiling Individual Physician Payment Information", by Adrienne Dresevic, Esq. and Clinton Mikel, Esq., AHRA Link, February 2014. "Final CY 2014 Physician Fee Schedule Expands the Geographic Reach for Telehealth Services", by Clinton Mikel, Esq., December 8, 2013. "ABA Health Law Section Analysis of CY2014 CMS Telehealth Reimbursement", by Clinton Mikel, Esq., December 10, 2013. "New Guidance Released on The Eve of The HIPAA Compliance Deadline", by Adrienne Dresevic, Esq. and Clinton Mikel, Esq., AHRA Link, October, 2013. "1.2 Million HIPAA Fine Related to Digital Copy Machines", by Clinton Mikel, Esq., ABA Health Law Section eHealth Alert, August 14, 2013. "Proposed CY 2014 Physician Fee Schedule Impacts Telehealth Services", by Clinton R. Mikel, ABA Health Law Section, EHealth, Privacy & Security Interest Group. "OIG Issues Unfavorable Advisory Opinion for "Carve Out" Deal", by Adrienne Dresevic, Esq. and Clinton Mikel, Esq., AHRA Link, July, 2013. Chapter 5: Where Are We WIth HIPAA/HITECH? A Recap, Bright Spots and The Future, Final HIPAA Megarule: What's Changed, and a Guide to Complying for Providers, by Clinton Mikel, Esq., Physicians Legal Issues Conference, American Bar Association Health Law Section in Conjunction With Chicago Medical Society, Radisson Blu Aqua, Chicago, IL, June 13-15, 2013. Adrienne Dresevic, Esq., Jessica Gustafson, Esq., and Clinton Mikel, Esq. were featured in the Legal People section of The Detroit Legal News, June 17th, 2013 edition. "Beware of Real Estate Deals with Referral Sources", by Adrienne Dresevic, Esq. and Clinton Mikel, Esq., AHRA Link, June, 2013. Clinton Mikel, Esq. was quoted in, "Ease the Medical Device Tax Burden", Physician's Money Digest, May 13th 2013. "New HIPAA Rules Issued - A Short Primer", by Adrienne Dresevic, Esq. and Clinton Mikel, Esq., Attorney At Law Magazine, April Issue, Pg. 20. "New HIPAA Rules Issued: A Short Primer", by Clinton Mikel, Esq., Michigan Medical Law Report, Spring 2013 edition. "New HIPAA Rules: A Guide for Radiology Providers", by Adrienne Dresevic, Esq. and Clinton Mikel, Esq., Radiology Management, March 2013. Clinton Mikel, Esq. was quoted in "How the HIPAA Mega Rule Will Affect Radiologists", Diagnostic Imaging, March 2013. "Changes To The Breach Notification Rule", by Adrienne Dresevic, Esq. and Clinton Mikel, Esq., AHRA Link, March 2013. "Highlights From Leon Rodriguez, Executive Director of OCR's, Speech at ABA's EMI Conference in Miami", by Adrienne Dresevic, Esq. and Clinton Mikel, Esq., February 22, 2013. "Changes to the Breach Notification Risk Assessment Under the HIPAA Megarule", by Clinton Mikel, Esq., ABA Health esource, January 2013. Clinton Mikel, Esq. was quoted in "OCR: New Method to Assess Breaches Is 'Objective'; CEs Must Adapt Very Quickly", Report on Patient Privacy, Volume 13, Number 2, February 2013. "New HIPAA Rules Issued: A Primer for Radiology Providers", by Adrienne Dresevic, Esq. and Clinton Mikel, Esq., AHRA Link, February 2013. Author of American Bar Association related to HIPAA Megarule (Free for ABA Health Law Section Members, available for purchase by others) - "HIPAA Privacy, Security, Enforcement & Breach Notification: Redlined Final Omnibus Rule", by Clinton Mikel, Esq., ABA Health Law Section, January, 2013. "Heightened Scrutiny of Self-Referring Physician Imaging Practices", by Adrienne Dresevic, Esq., Clinton Mikel, Esq., and Carey F. Kalmowitz, Esq., AHRA Link, November 2012. "The Required Hospital Standard Charge Publication That You Probably Missed", by Clinton Mikel, Esq., AHLA Link, May 2012. "New Hampshire House Passes Sweeping Rules Regarding Physician Relationships With Medical Device Companies," by Clinton Mikel, Esq., Adrienne Dresevic, Esq., Carey Kalmowitz, Esq., and Tom Bulleit, AHLA Revised and Reissued Email Alert, April 24, 2012. "New Hampshire House Passes Sweeping Rules Regarding Physician Relationships With Medical Device Companies," by Clinton Mikel, Esq., Adrienne Dresevic, Esq., and Carey Kalmowitz, Esq., AHLA Email Alert, April 16, 2012. Author of American Health Lawyers Association knowledge bank tool related to proposed HITECH changes under the Office of Civil Rights Proposed Modifications to the Health Insurance Portability and Accountability Act Privacy, Security, and Enforcement Rules under the HITECH Act, August 2010. Quoted in “Bracing for New Compliance World of Healthcare Reform,” Compliance Week, May 2010. Co-author of American Health Lawyers Association Teaching Hospital Updates, 2009-2010. Contributing Author, The World Bank’s Doing Business 2009. Adrienne Dresevic, Esq. and Clinton Mikel, Esq. presented on "Doing Business in a Radioactive Industry (a/k/a Legal Challenges for Overregulated Imaging Providers)" at the 2019 RBMA PaRADigm Conference in Colorado Springs, Colorado on April 15, 2019. Clinton Mikel, Esq. presented on "Anti-Kickback Safe Harbor Provisions" for Strafford Webinars on March 19, 2019. Adrienne Dresevic, Esq. and Clinton Mikel, Esq. presented on "Recent Privacy Developments" for the Health Section at the 36th Annual National CLE Conference in Snowmass, Colorado on January 2, 2019. Adrienne Dresevic, Esq. and Clinton Mikel, Esq. presented on "Healthcare Marketing in the Crosshairs" at the 2018 RBMA SPARK Conference in Nashville, TN on June 5, 2018. Adrienne Dresevic, Esq. and Clinton Mikel, Esq. presented on "Staying Compliant in a Heavily Regulated Industry" for Singh Development in Royal Oak, MI on April 18, 2018. Adrienne Dresevic, Esq. and Clinton Mikel, Esq. presented on "Stark Law, Fraud and Abuse" and "Stark one-on-one" at the 2018 PaRADigm Conference in San Diego, CA on April 7, 2018. Adrienne Dresevic, Esq. and Clinton Mikel, Esq. presented on "The Perils of Ransomware...Makes You Wanna Cry" for the Employee Benefits Section at the 35th Annual National CLE Conference in Vail, Colorado on January 6, 2018. Adrienne Dresevic, Esq. and Clinton Mikel, Esq. presented on "What's Happening in Privacy and Security? The Daunting Data Dilemma" for the Healthcare Section at the 35th Annual National CLE Conference in Vail, Colorado on January 6, 2018. Clinton Mikel, Esq., presented on "OIG Changes to Anti-Kickback Safe Harbor Provisions and the CMP Beneficiary Inducement Prohibition" for Strafford Webinars on November 1, 2017. Adrienne Dresevic, Esq., and Clinton Mikel, Esq. were interviewed at the 2017 PaRADigm Conference in Chicago, IL. Adrienne Dresevic, Esq., and Clinton Mikel, Esq. presented on "Healthcare Marketing Landscape - Stark Law, CMP Revisions, and The Assault on Marketing Programs" at the 2017 PaRADigm Conference in Chicago, IL on April 24-25, 2017. Adrienne Dresevic, Esq., and Clinton Mikel, Esq. presented on "Stark Law and Sunshine Act" at the 2017 RBMA Building Better Radiology Marketing Programs Conference in Fort Worth, Texas on March 6, 2017. Adrienne Dresevic, Esq., and Clinton Mikel, Esq. presented on "Complying with 2016 Stark Law Amendments and Possible Changes in the Horizon for 2017" for Strafford Webinars on February 7, 2017. Adrienne Dresevic, Esq. and Clinton Mikel, Esq. presented on "Anti-Kickback Enforcement: The Assault on Marketing Programs and Other Developments" at the 34th Annual National CLE Conference in Snowmass, Colorado on January 4, 2017. Clinton Mikel, Esq., presented on "Concierge Practice: The Risks and Pitfalls of Converting" at the 42nd Annual American Society of Medical Association Counsel (ASMAC) Fall Conference in Kohler, Wisconsin on October 26, 2016. CSPAN replayed POLITICO's "Outside, In: Unhealthy Hacking: Medical Privacy in the Age of Cyber Attacks", which featured Clinton Mikel, Esq. on May 14, 2016. Clinton Mikel, Esq. participated in the "Outside, In: Unhealthy Hacking: Medical Privacy in the Age of Cyber Attacks" hosted by POLITICO in Washington, D.C. on May 10, 2016. Adrienne Dresevic, Esq. and Clinton Mikel, Esq. participated in the question and answer portion in the encore presentation of "Complying with New 2016 Stark Law Amendments" for Stafford Webinars on April 21, 2016. Adrienne Dresevic, Esq. and Clinton Mikel, Esq. presented on "Evolving Fraud & Abuse Enforcement: Major Defensive Stark Clarifications and the Evolution of Personal Accountability" at the Spring 2016 Corporate Compliance Officer Meeting in Las Vegas, Nevada on April 20, 2016. Adrienne Dresevic, Esq., and Clinton Mikel, Esq., presented on "Stark Law and Sunshine Act" at the 2016 RBMA Building Better Radiology Marketing Programs Conference in Las Vegas, Nevada on March 7, 2016. Adrienne Dresevic, Esq., and Clinton Mikel, Esq., presented on"Complying with New 2016 Stark Law Amendments" for Strafford Webinars on February 11, 2016. Adrienne Dresevic, Esq., and Clinton Mikel, Esq., presented on “That’s Remuneration? New Issues under the Anti-Kickback and stark Laws” at the 33rd Annual National CLE Conference in Vail, Colorado, on January 6, 2016. Adrienne Dresevic, Esq., and Clinton Mikel, Esq. presented on "Major 2016 Stark Law Changes" for Appeal Academy's Finally Friday! Webinar on December 4, 2015. Clinton Mikel, Esq. presented on "Evolving HIPAA and Privacy Issues for Medical Device Industry" at MDMA Medical Device Conference on October 16, 2015. Adrienne Dresevic, Esq., and Clinton Mikel, Esq. presented on "Hot Topics for Physician Compliance" at Gastroenterology Associates of Central Jersey, PA on September 15, 2015. Adrienne Dresevic, Esq., and Clinton Mikel, Esq., presented on "Cutting Edge Legal Development & Hot Topic Impacting Radiologists" at the 2015 AHRA Annual Meeting in Las Vegas, NV, on July 19, 2015. Clinton Mikel, Esq. presented on "OCR'S Anatomy: HIPAA Breaches, Investigations, and Enforcement", ABA Physicians Legal Issues Conference, June 2015. Clinton Mikel, Esq. presented on "Does HIPAA Apply to You? : Practical Guidance for mHealth and Telemedicine Companies", HIMSS 2015, April 2015. Adrienne Dresevic, Esq. and Clinton Mikel, Esq. presented on "Shedding Light on Market Practices & Physician-Industry Financial Relationships: Federal Stark Law Implications & The Sunshine Act". RBMA Conference, March 15-17, 2015. Clinton Mikel, Esq. presented on "Medical Device Trending Compliance Issues" at the Medical Device & Legal Professionals: A Collaborative Exchange, Joint Meeting between the Medical Device Manufacturers Association and the American Bar Association. December 11-12, 2014. Clinton Mikel, Esq. presented "HIPAA-What Every LNC Needs to Know" AALNC Webinar, August 5, 2014. Clinton Mikel, Esq. presented "HIPAA & HITECH for Legal Nurse Consultants", August 5, 2014. Clinton Mikel, Esq. presented "How to Train Your Attorney - Getting Past No", InTouch Conference, July 24, 2014. Clinton Mikel, Esq. presented "HIPAA Toolkit for Law Firms", sponsored by the ABA Center for Professional Development, June 26, 2014. Clinton Mikel, Esq. presented "A View From The Cloud. Cutting-Edge Insight on The HIPAA Omnibus Rule, Cloud Privacy & Security and HIPAA Enforcement", The Physicians Legal Issues Conference, June 12, 2014. Clinton Mikel, Esq. presented "Final HIPAA Omnibus Rule: "Better Late Than Never", June 12, 2014. Clinton Mikel, Esq. presented, "FDA Device Regulation 101 (And Why it Matters to You and ITH)", May 2, 2014. In need of Ethics credits? ABA members can get them for free by attending, "You Mean HIPAA Applies to Lawyers? Keeping Data Safe, Clients Happy and Your License Secure", with The HLP's, Clinton Mikel, Esq., as a Speaker/Moderator, April 21, 2014. Adrienne Dresevic, Esq. and Clinton Mikel, Esq. presented, "Roundtable: Stark Law and Sunshine Act Q&A With the Attorneys", RBMA Conference, March 10, 2014. Clinton Mikel, Esq. presented, "CMS Expands Geographic Area for Telehealth Coverage in 2014", December 8, 2013. Clinton Mikel, Esq. presented, "Health Information Technology Policy and Regulations: Overview of the Health Information Technology for Economic and Clinical Health (HITECH) Act", Health Information Technology: Improving Quality and Value, October 2013. Clinton Mikel, Esq. presented, "Introduction to Privacy Law: HIPAA & Hitech for PI Lawyers", The 10th Annual No-Fault Institute, Friday, September 20, 2013. Clinton Mikel, Esq. presented, "HIPAA, HITECH, and You", The 10th Annual No-Fault Institute, Friday, September 20, 2013. Clinton Mikel, Esq. presented, "TeleHealth Legal Update", on July 26, 2013. Clinton Mikel, Esq. presented at the Physicians Legal Issues Conference, American Bar Association Health Law Section in conjunction with Chicago Medical Society, Radisson Blu Aqua, Chicago, IL, June 13-15, 2013. Negotiating an Electronic Health Record (EHR) Agreement: A Marriage Between Healthcare and Technology, Moderated by Clinton Mikel, Esq., June 20th, 2013. Adrienne Dresevic, Esq., Carey Kalmowitz, Esq., and Clinton Mikel, Esq. presented Healthcare/Real Estate Issues Primer to NAI Farbman and it's hospital clients, May 17th, 2013. St. Mary Mercy Hospital Continuing Medical Education (CME) program: TOPIC: “The Savvy (& Safe) Physician’s Guide to Utilizing EMRs”, by Clinton Mikel, Esq., January 23, 2013. Clinton Mikel, Esq. is on the Health Law Section Podcast Panel for ABA Podcast, "Interested in a Career in Health Law?". "DMC-PHO Office Managers Forum - Hot Compliance Topics: Marketing and Fraud and Abuse", by Adrienne Dresevic, Esq. and Clinton R. Mikel, Esq., June 28, 2012. “Internal Compliance Investigations & Self-Disclosure Issues” by Clinton R. Mikel, Esq., Michigan Association of CPAs, April 28, 2011. “Fraud and Abuse and HITECH Changes for Compliance Programs” by Clinton R. Mikel, Esq., Southeastern Michigan Health Information Management Association, November 30, 2010. “HITECH for Group Health Plans and Business Associates” by Clinton R. Mikel, Esq., Employee Benefits Committee and the Health Care Law Section of the State Bar of Michigan, November 4, 2010.